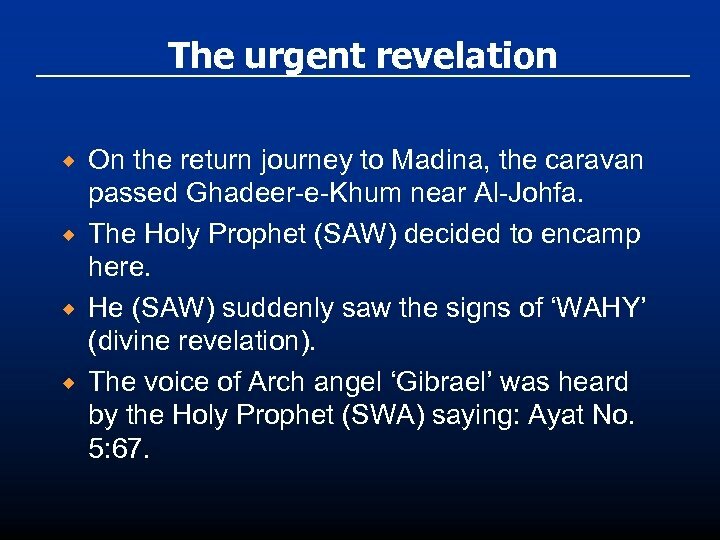 The urgent revelation ® ® On the return journey to Madina, the caravan passed Ghadeer-e-Khum near Al-Johfa. 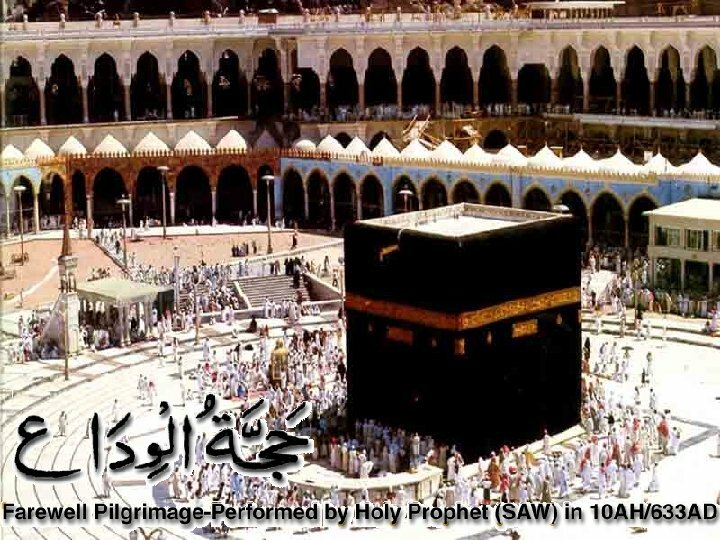 The Holy Prophet (SAW) decided to encamp here. 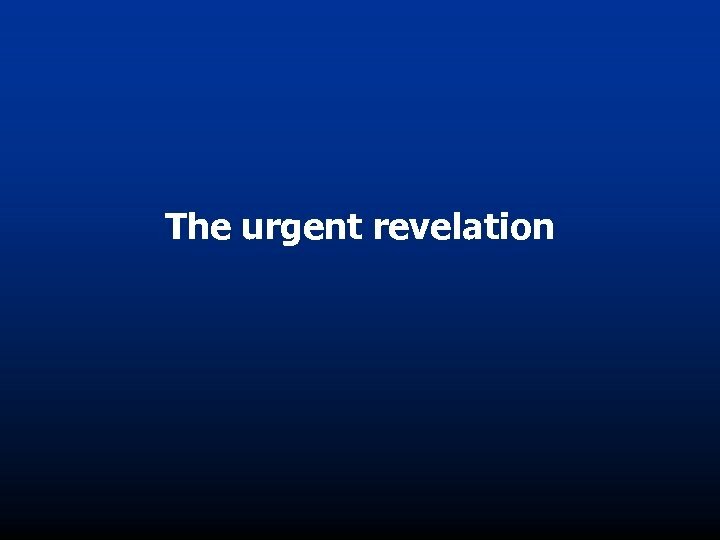 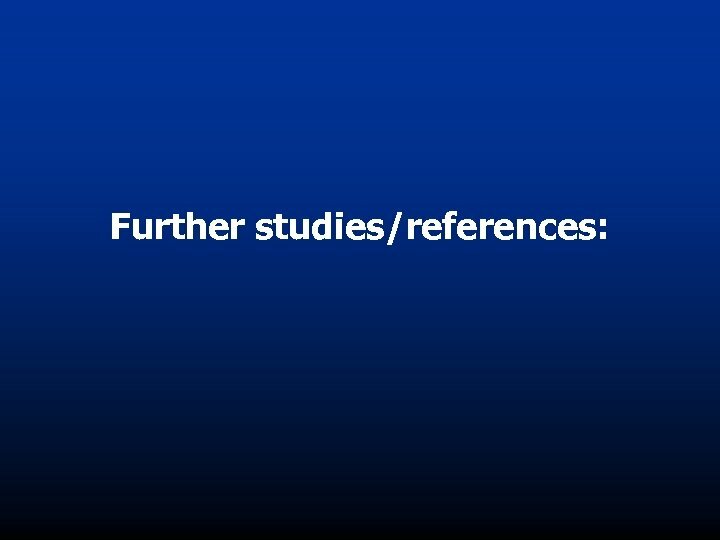 He (SAW) suddenly saw the signs of ‘WAHY’ (divine revelation). 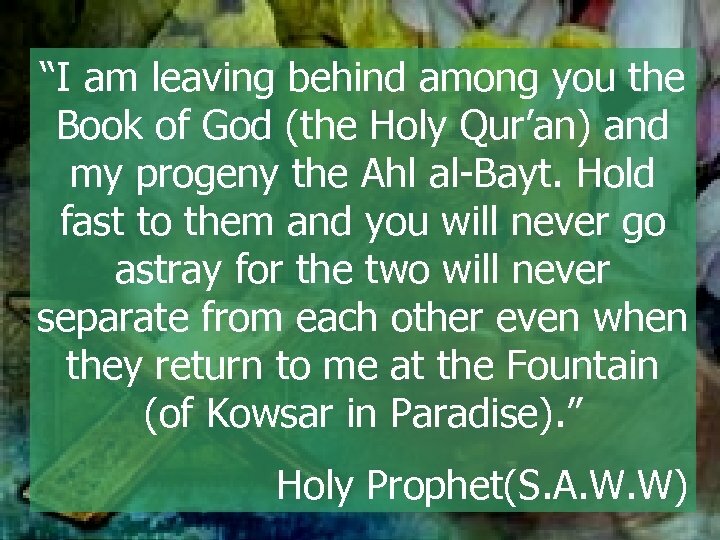 The voice of Arch angel ‘Gibrael’ was heard by the Holy Prophet (SWA) saying: Ayat No. 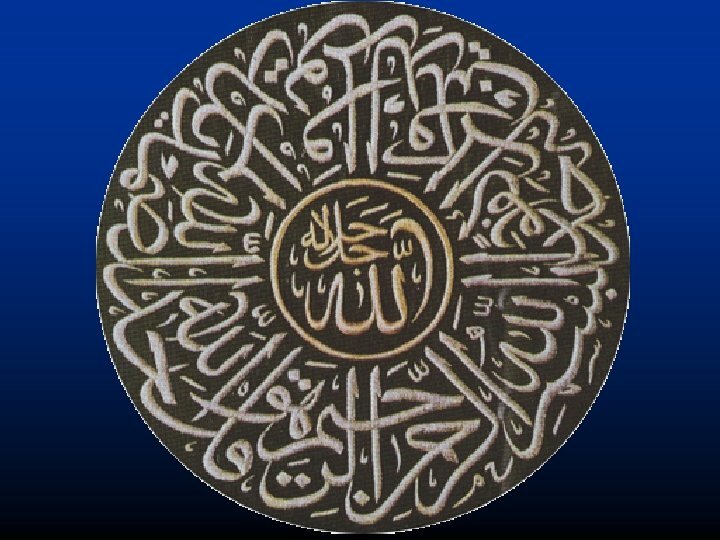 5: 67. 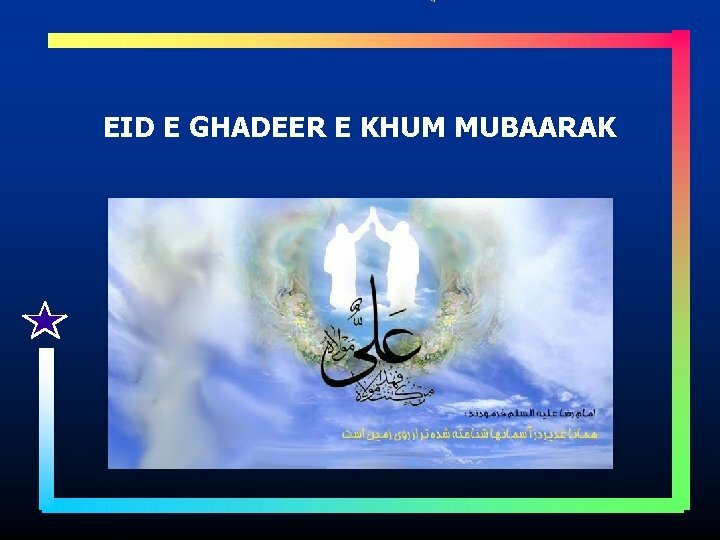 Location of Ghadeer-e-Khum ® ® ® ® Ghadeer is on the way from Mecca to Madina. 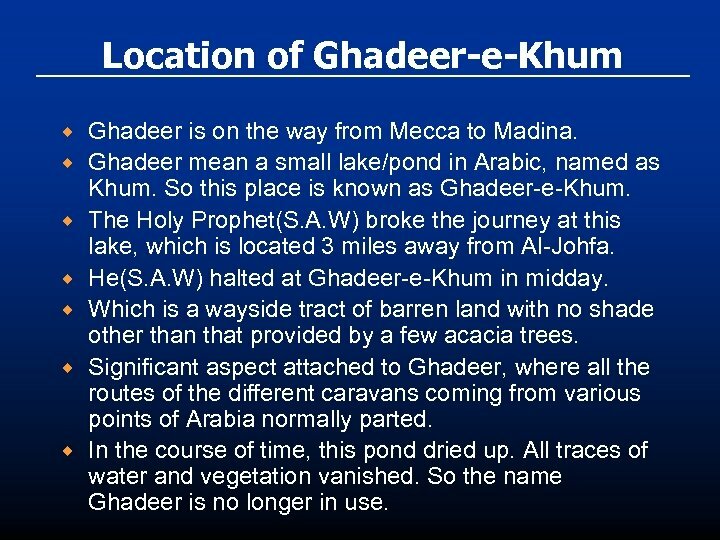 Ghadeer mean a small lake/pond in Arabic, named as Khum. 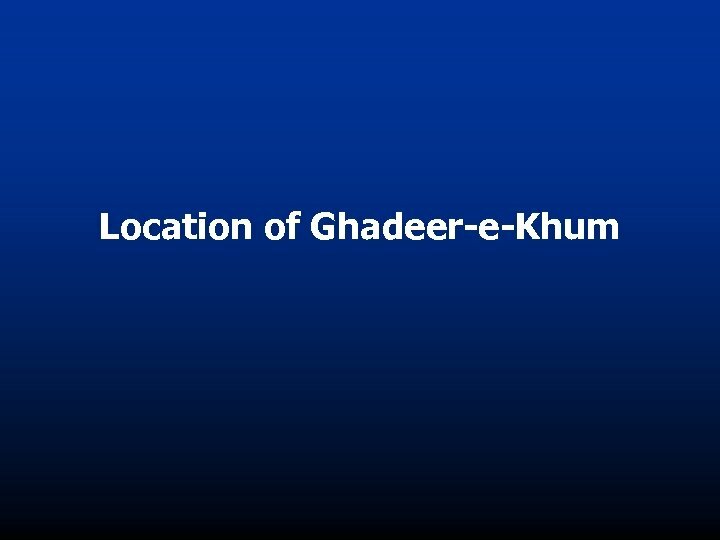  So this place is known as Ghadeer-e-Khum. 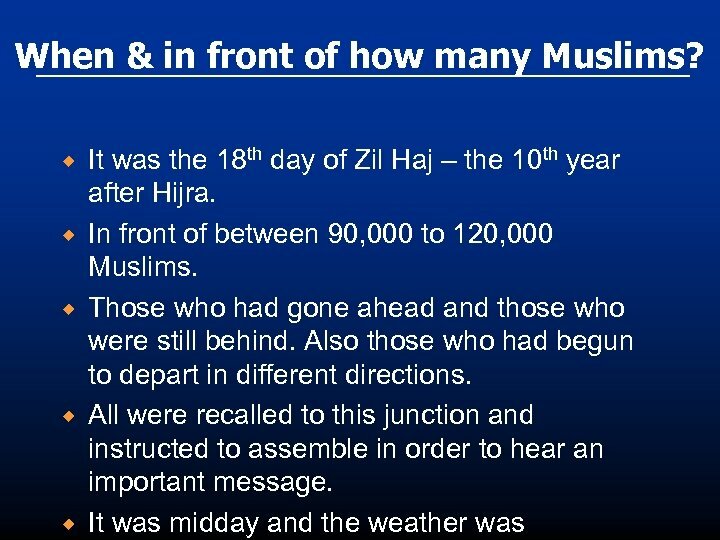 The Holy Prophet(S. A. W) broke the journey at this lake, which is located 3 miles away from Al-Johfa. 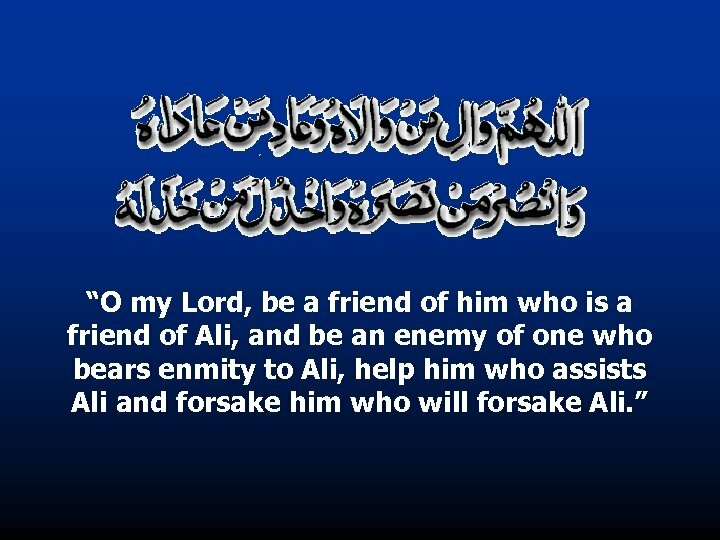 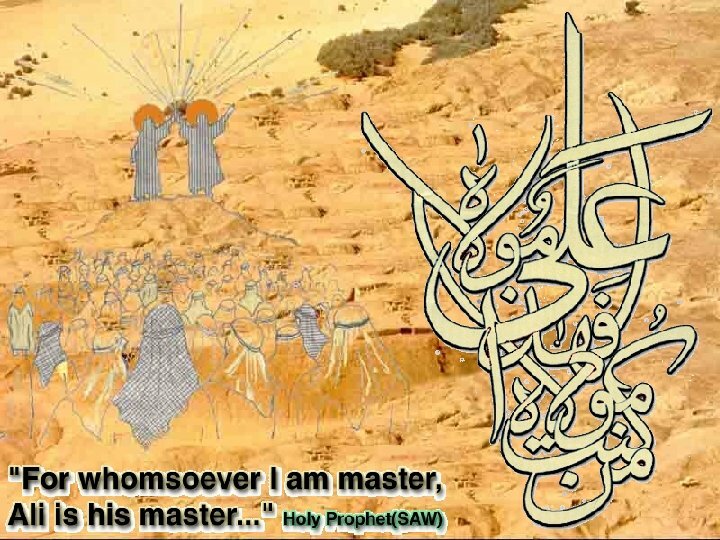 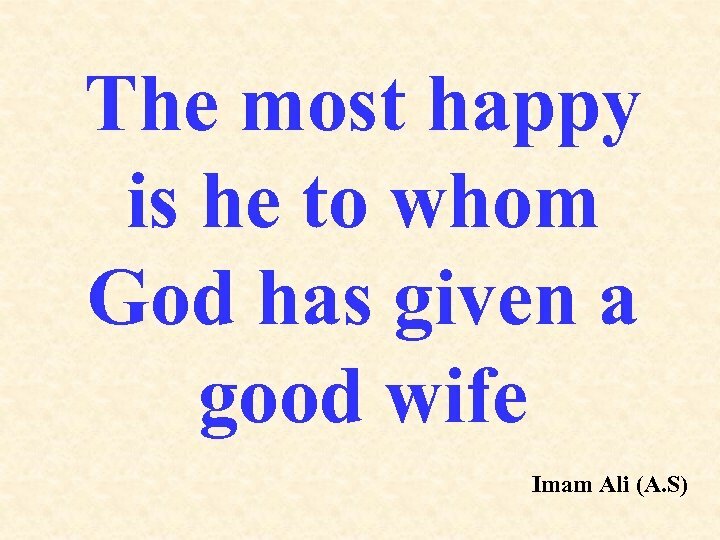 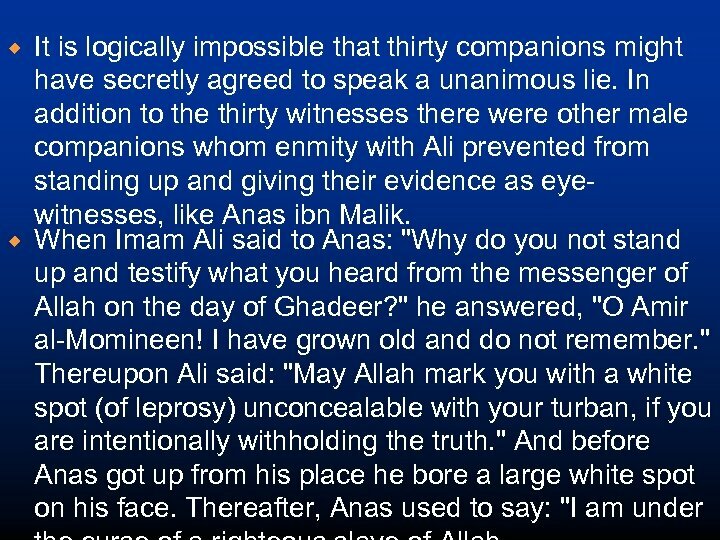 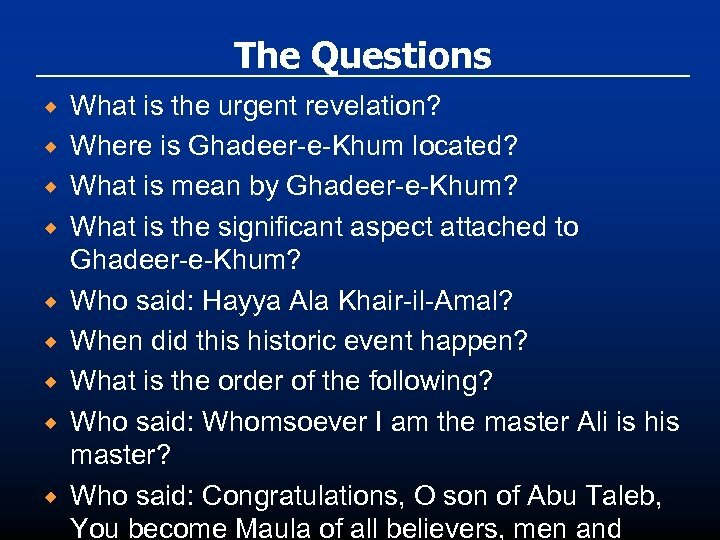 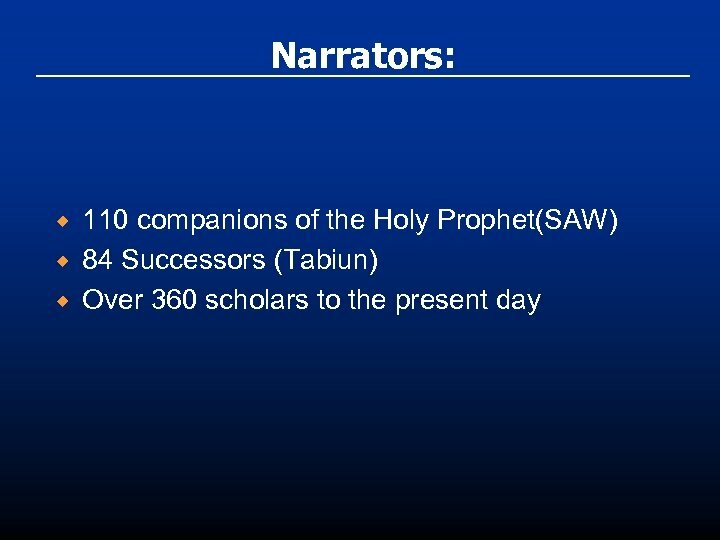 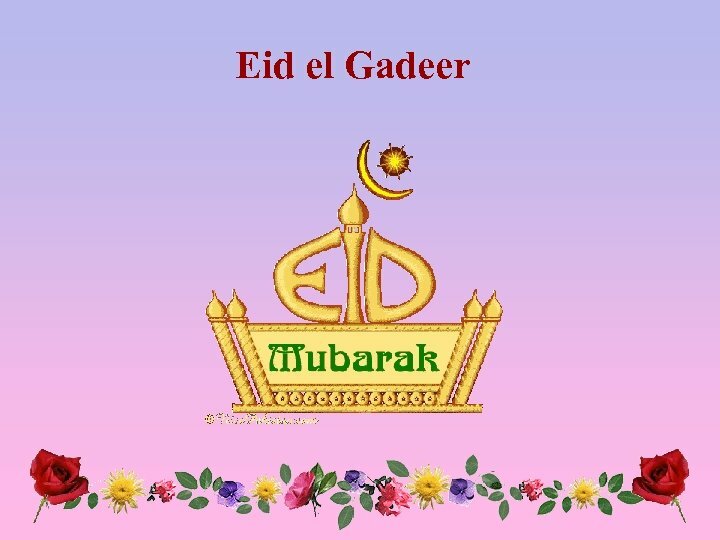 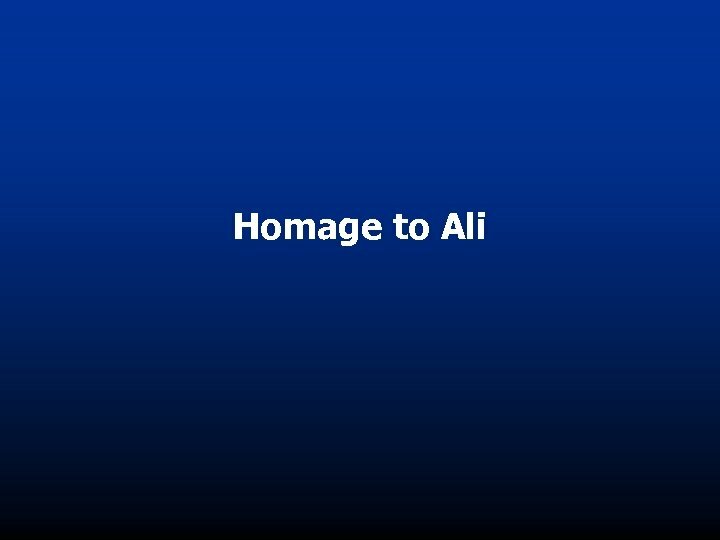 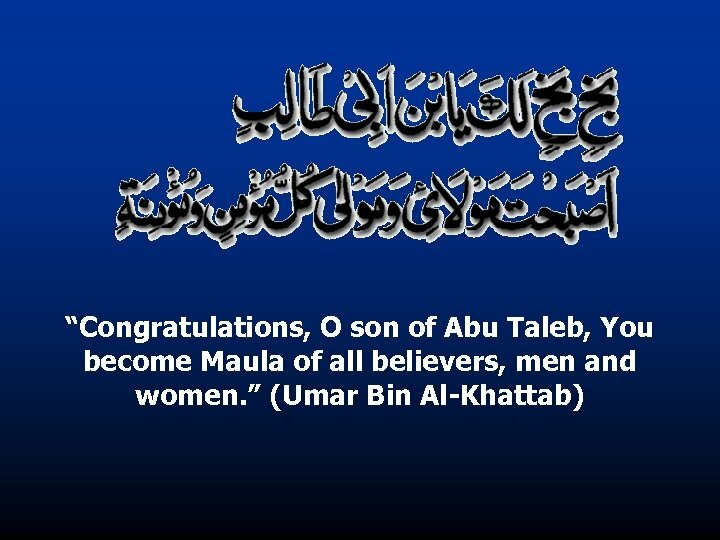 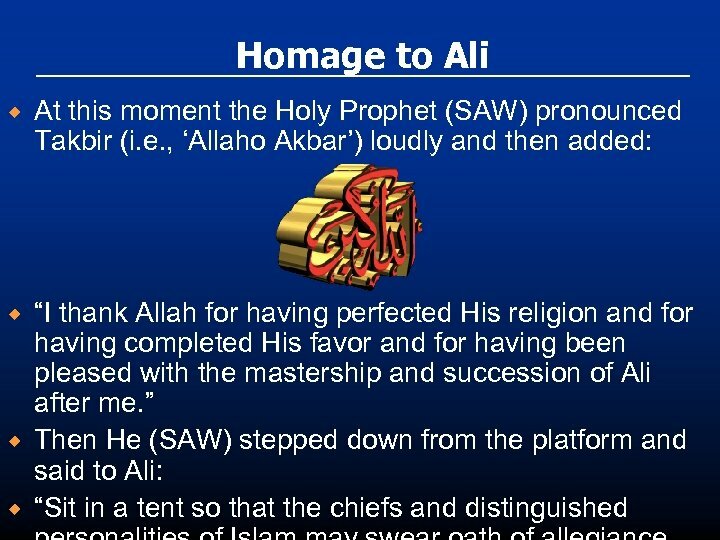 He(S. A. W) halted at Ghadeer-e-Khum in midday. 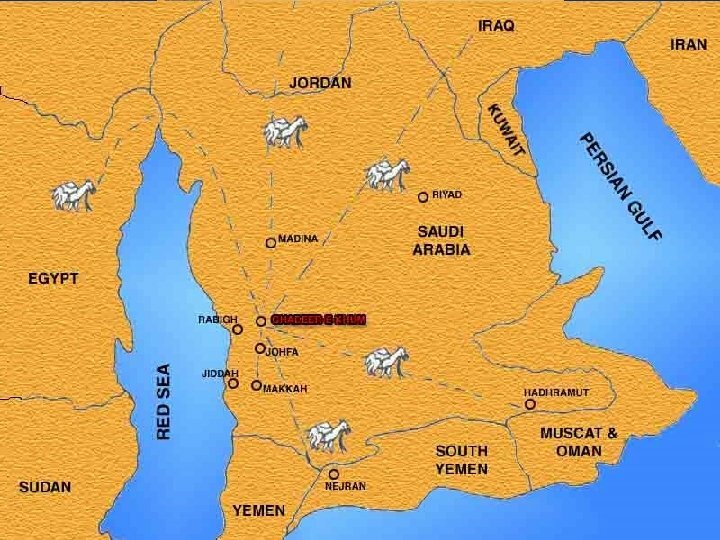 Which is a wayside tract of barren land with no shade other than that provided by a few acacia trees. 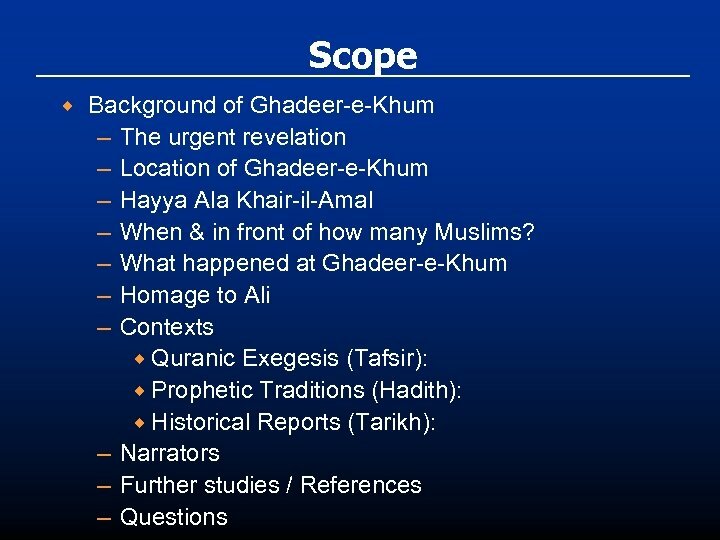 Significant aspect attached to Ghadeer, where all the routes of the different caravans coming from various points of Arabia normally parted. 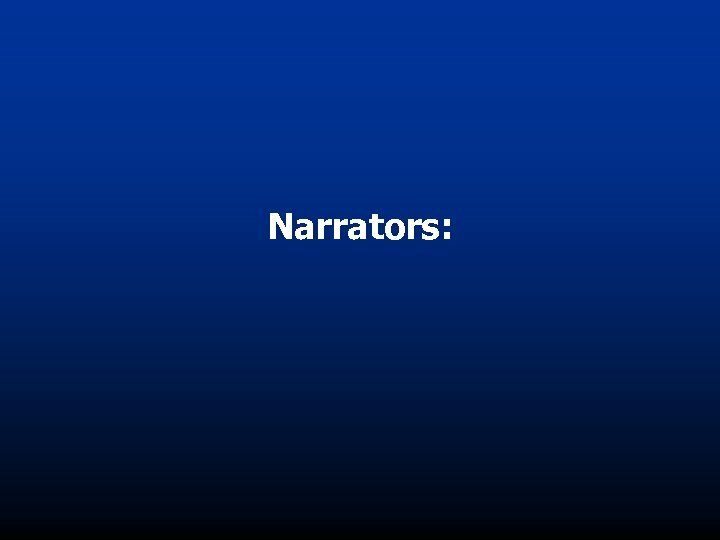 In the course of time, this pond dried up. 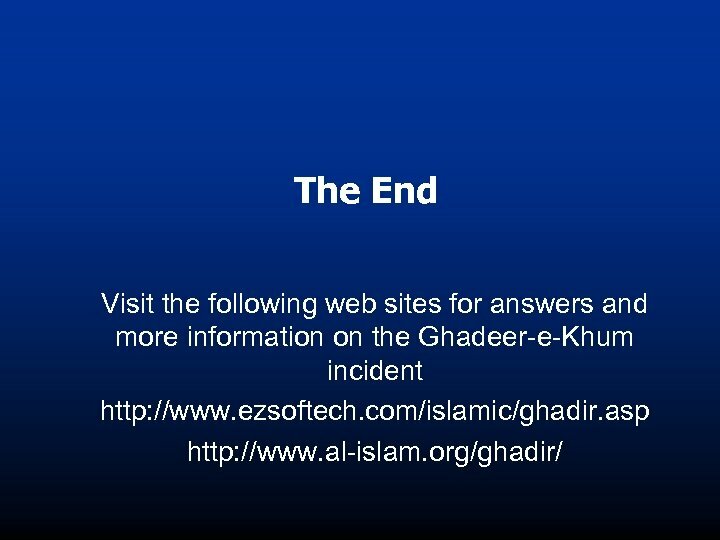 All traces of water and vegetation vanished. 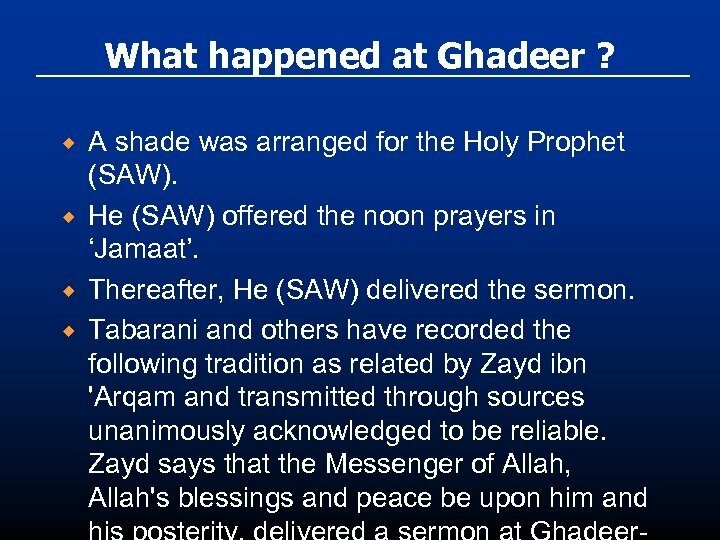 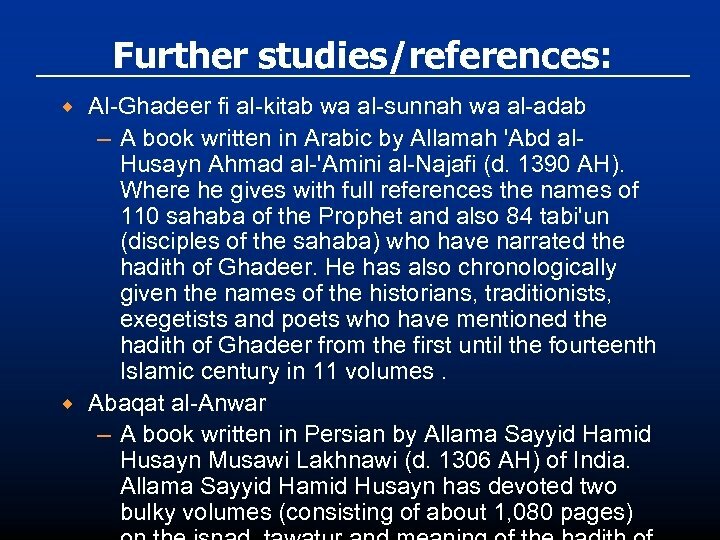 So the name Ghadeer is no longer in use. 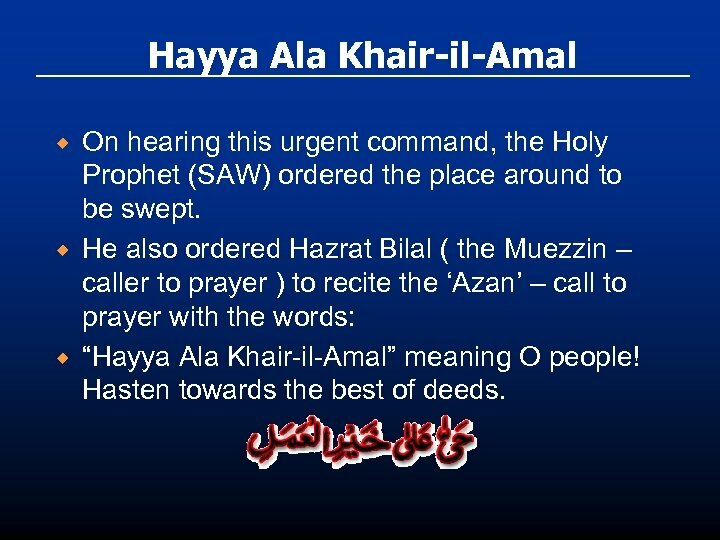 Hayya Ala Khair-il-Amal ® ® ® On hearing this urgent command, the Holy Prophet (SAW) ordered the place around to be swept. 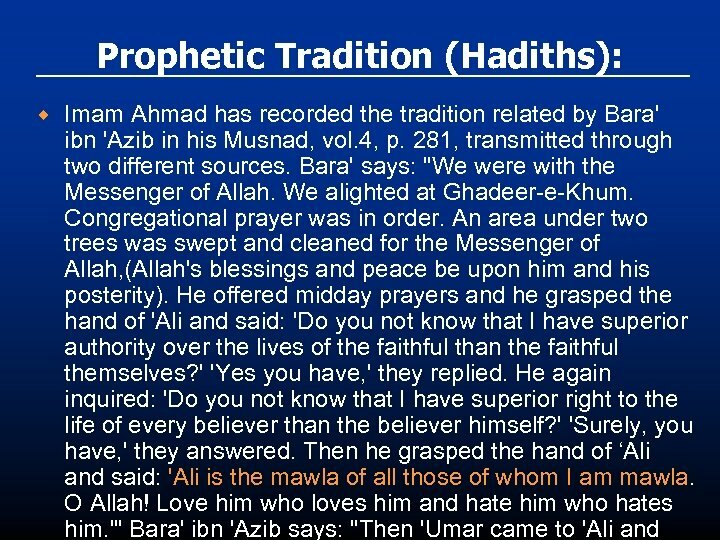 He also ordered Hazrat Bilal ( the Muezzin – caller to prayer ) to recite the ‘Azan’ – call to prayer with the words: “Hayya Ala Khair-il-Amal” meaning O people! 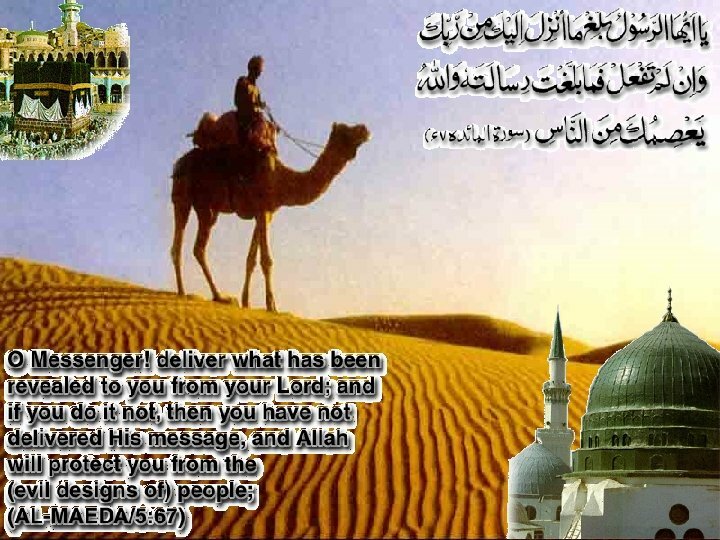 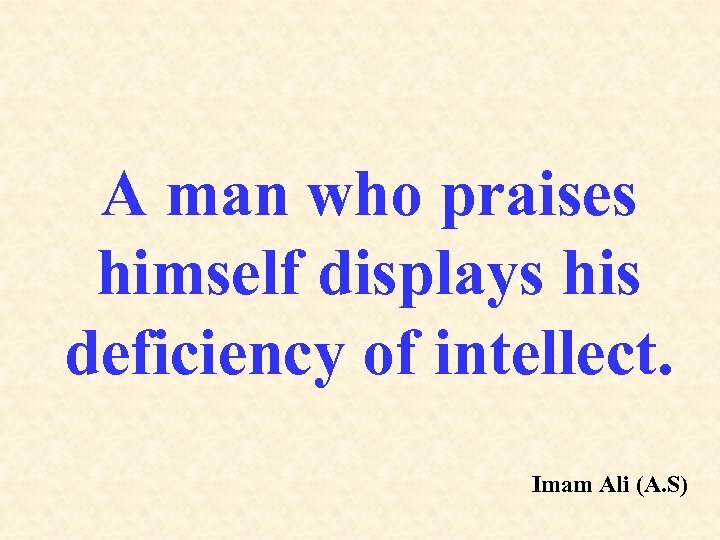 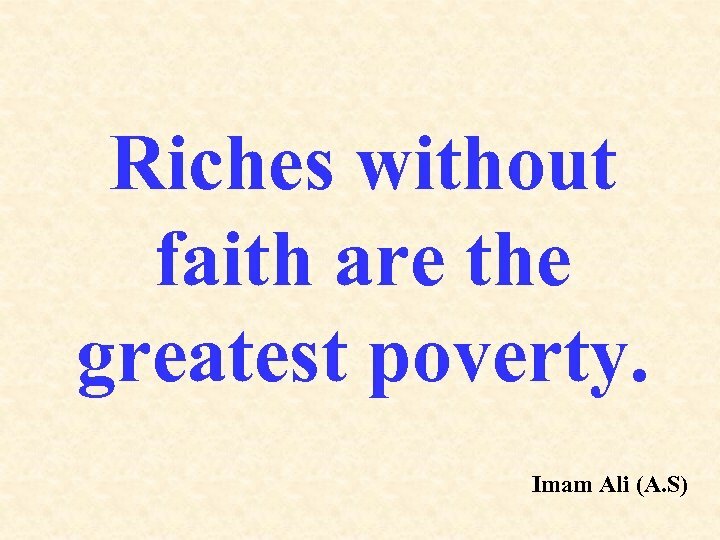 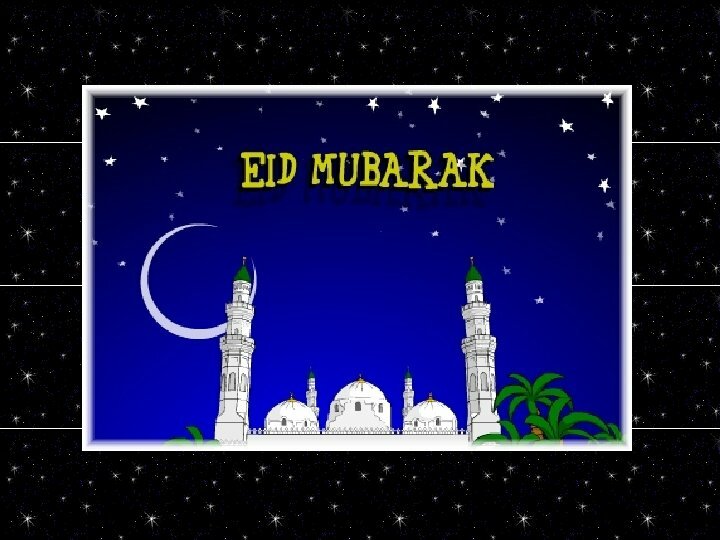 Hasten towards the best of deeds. 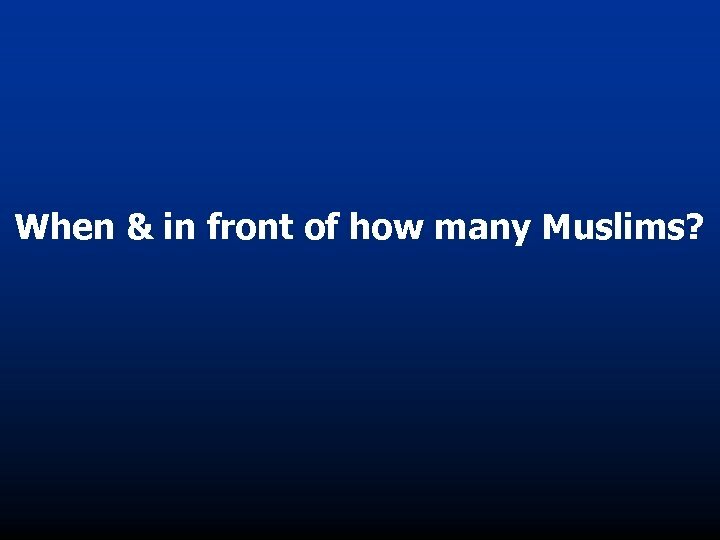 When & in front of how many Muslims? 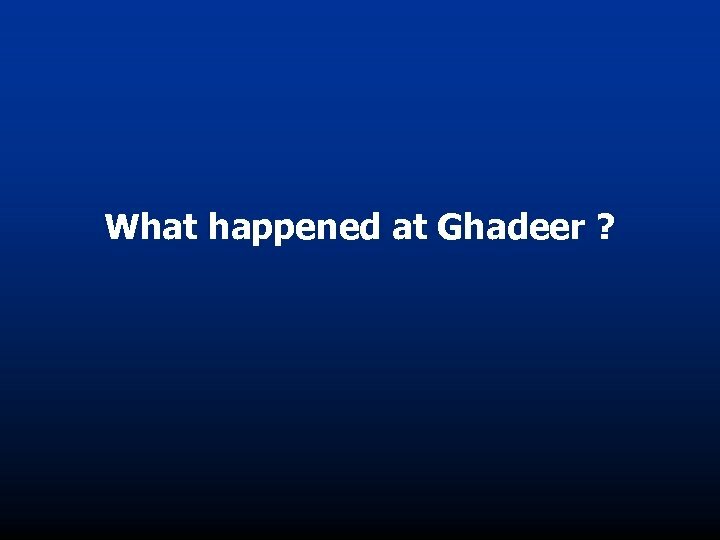 What happened at Ghadeer ? 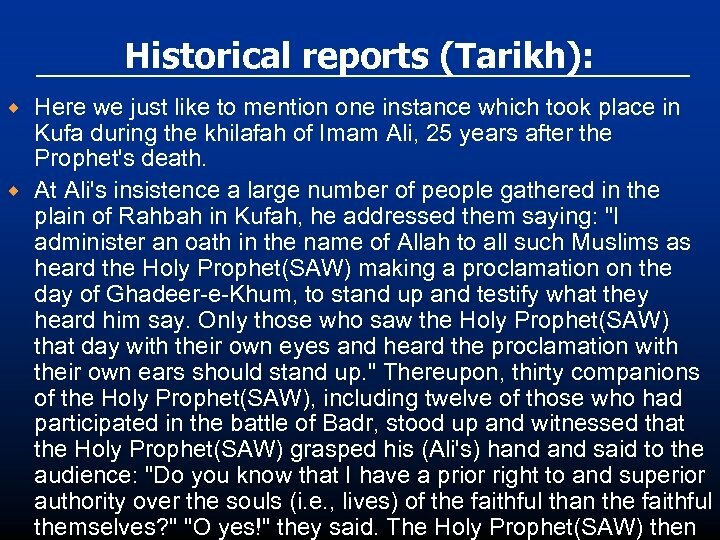 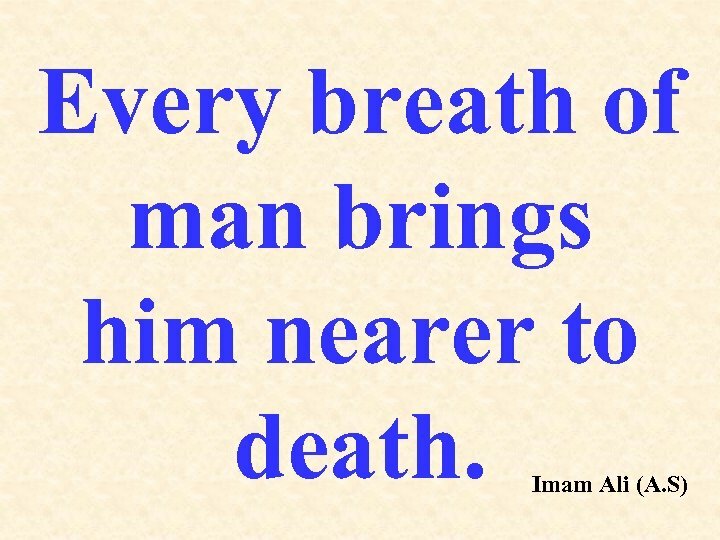 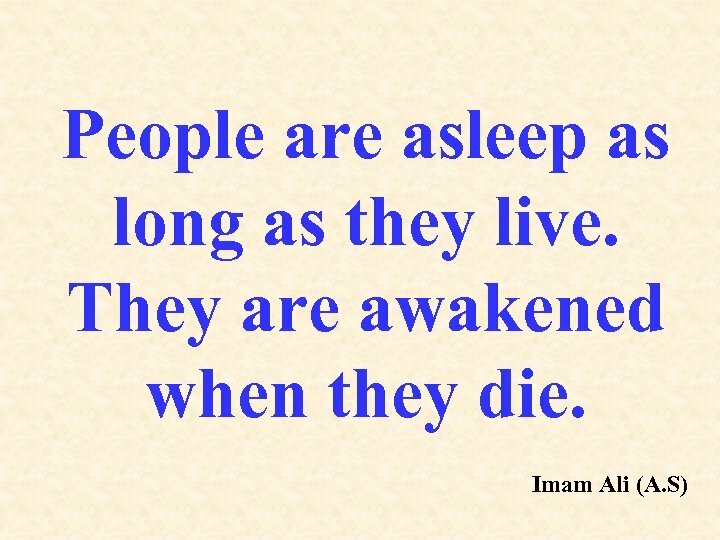 ® Also bear in mind that this incident took place 25 years after the event of Ghadeer-e-Khum, and during this period hundreds of eyewitnesses had died naturally or in the battles fought during the first two khulafah's rule. 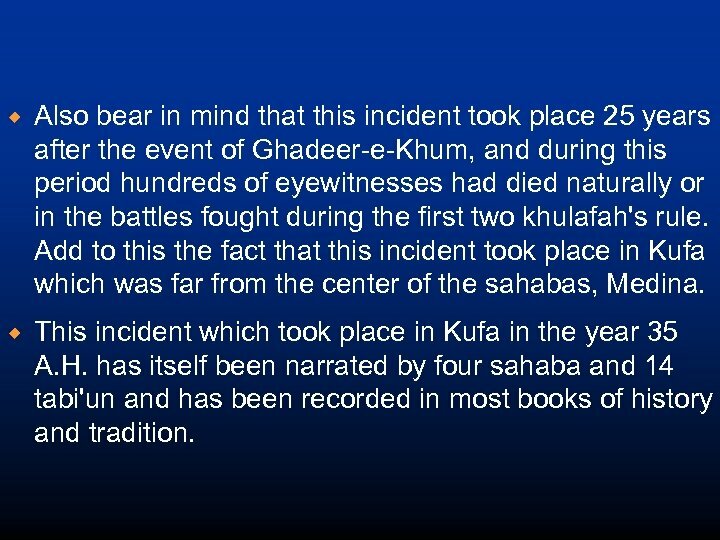 Add to this the fact that this incident took place in Kufa which was far from the center of the sahabas, Medina. 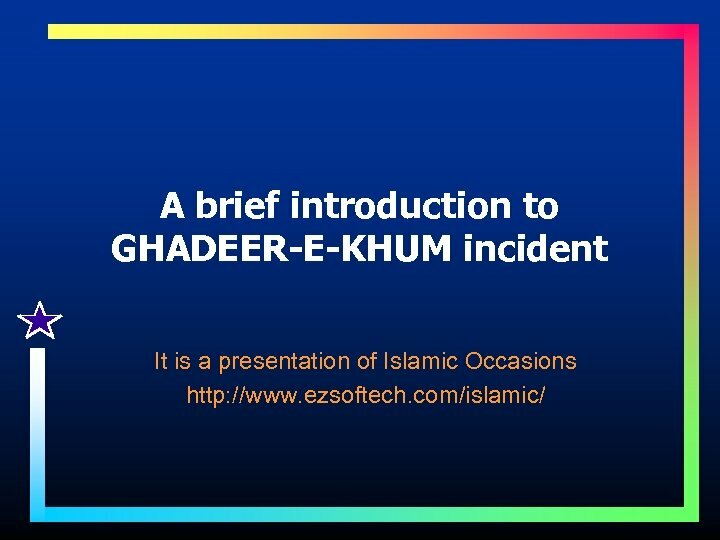 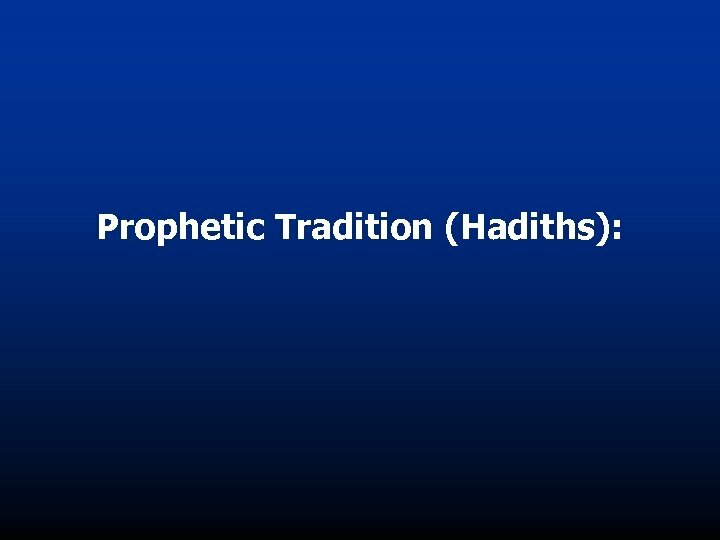 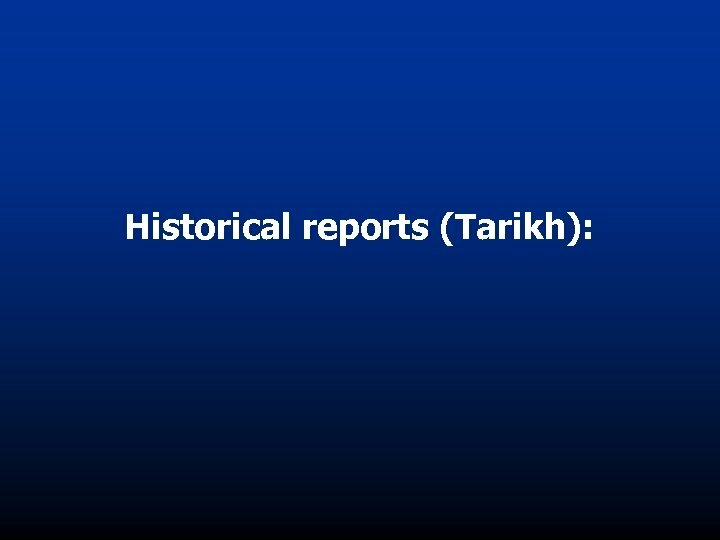 ® This incident which took place in Kufa in the year 35 A. H. has itself been narrated by four sahaba and 14 tabi'un and has been recorded in most books of history and tradition. 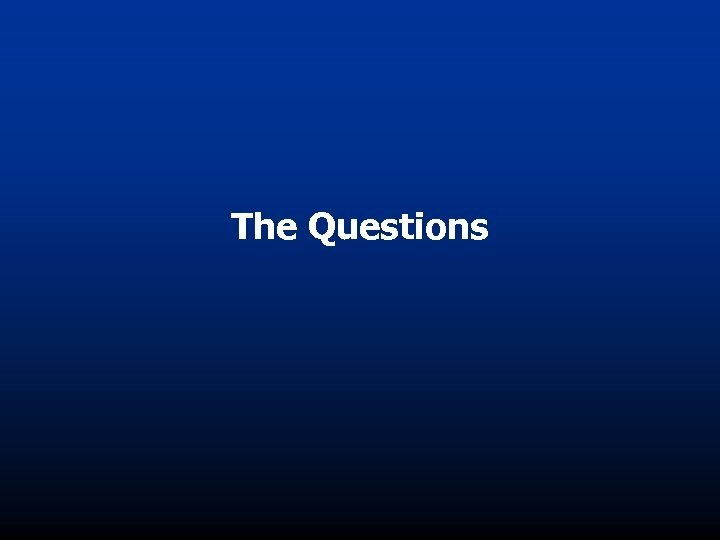 Тема: Анатомия и физиология мужской половой системы.